← Free Halloween Printables Round Up! 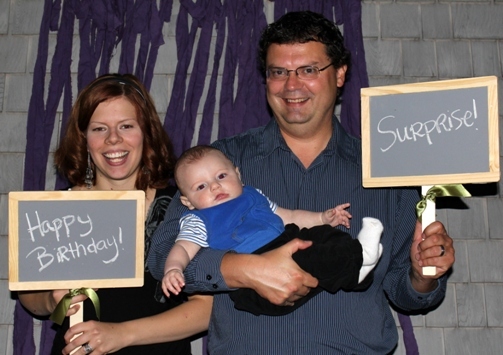 I recently helped host a surprise birthday party for my sister in law, Heidi. 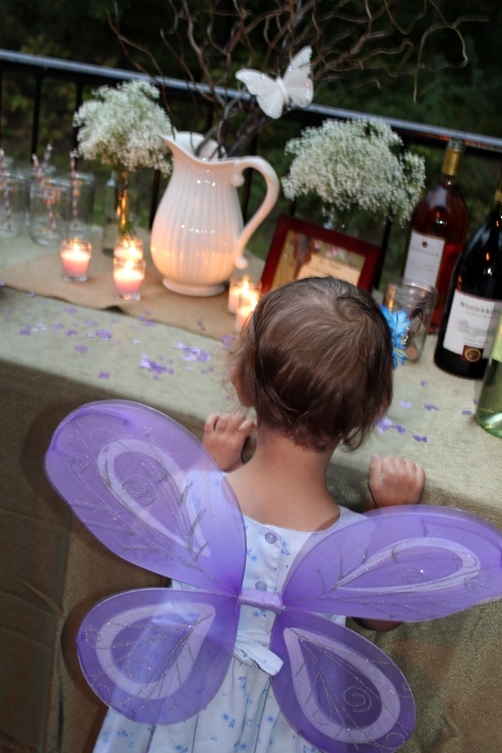 I was in charge of decor and the photo booth – two of my favorite aspects for party planning! 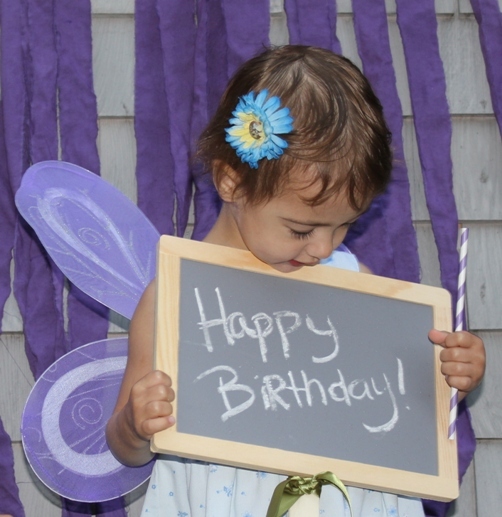 This party was truly a group effort – because it was a milestone birthday, Heidi was on the look out for clues that a party might be in the works. But no one let anything slip, so she was very surprised! 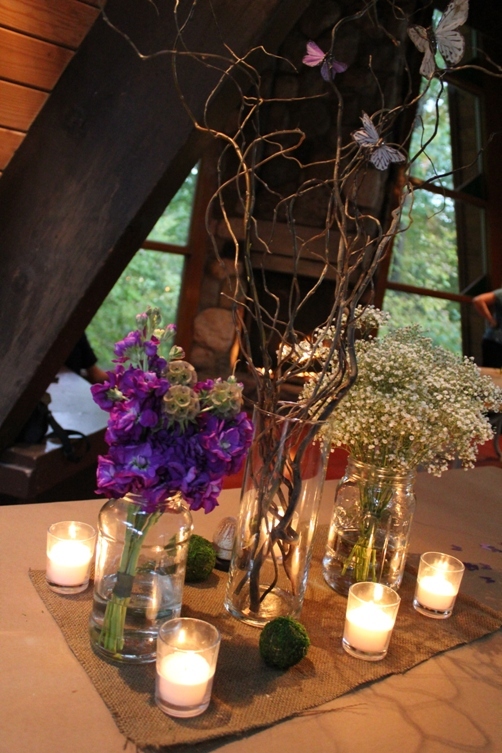 We found a lovely city forest building to host the event, which worked perfectly with our woodland fairy theme. 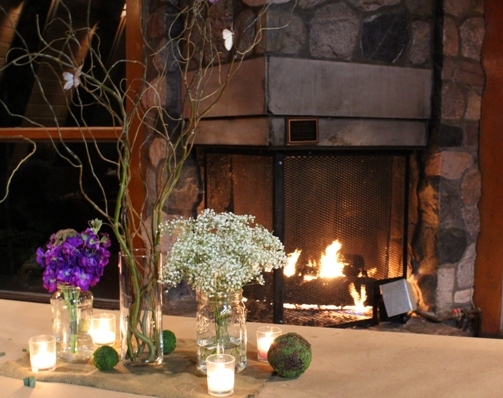 The space came equipped with a beautiful, working stone fireplace, but we also had to work with picnic tables. Instead of covering them in tablecloths, I purchased a large roll of brown kraft paper (from the painting section at Lowe’s!). I can’t believe how much I got for just over $10. This kraft paper would be great for kid’s crafts or wrapping paper, too! 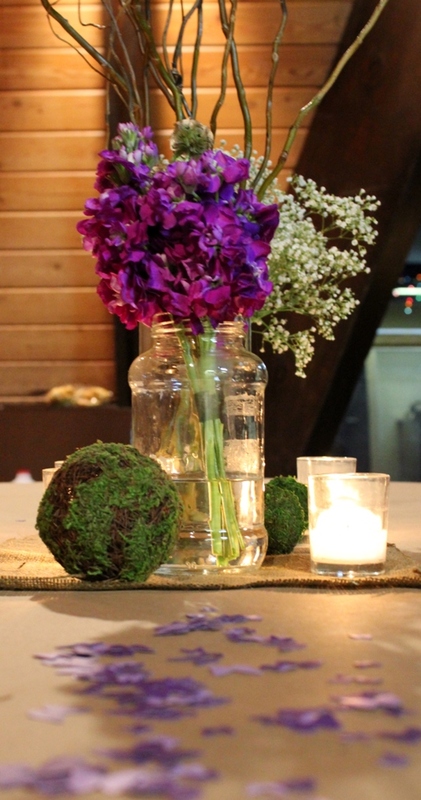 To set off the centerpieces, I set out a burlap “placemat.” Vases of curly willow were the central arrangement. 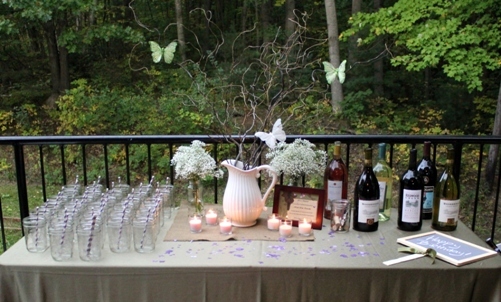 We also attached butterflies to each curly willow bouquet. 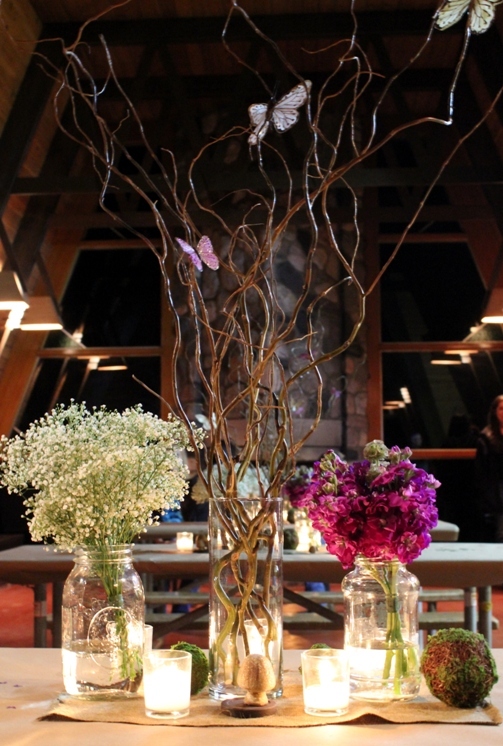 Additionally, each table had two flower bouquets – one of baby’s breath and one of purple stock and scabiosa pods. 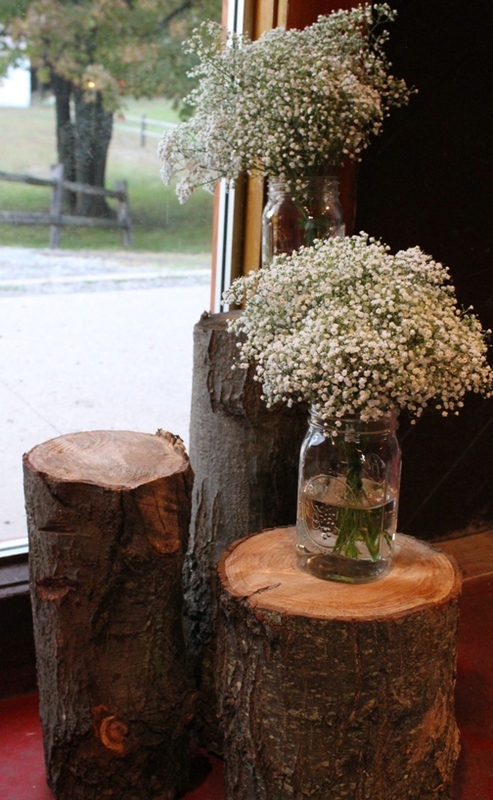 For the flower vases, I used Mason Jars and leftover jars from my kitchen (salsa and spaghetti sauce, mostly). Mr. Lemon thought I was crazy until he saw them all together and he loved them! 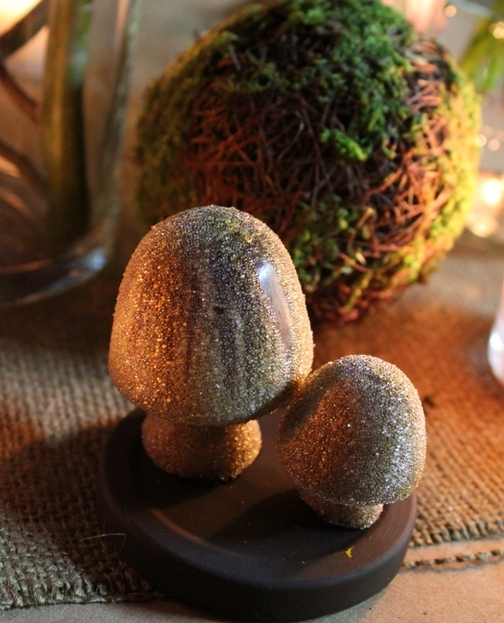 Moss balls, mini mushrooms, butterfly confetti and candles completed the table centerpieces. 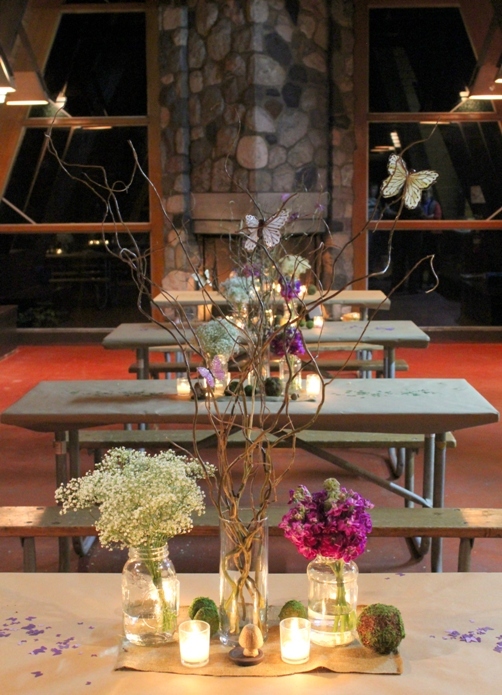 On the bar, I used a green tablecloth with a centerpiece to compliment the main tables including curly willow and butterflies, candles, butterfly confetti and two vases of baby’s breath. 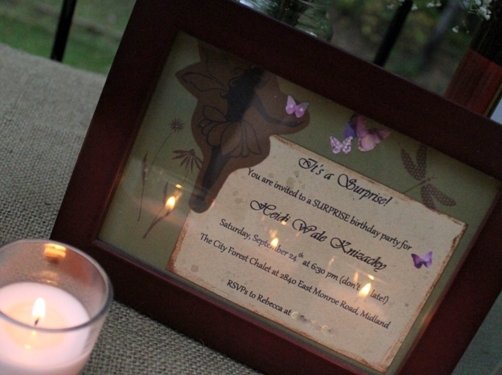 However, I also included a framed invitation. Stripey straws set off the Mason Jar glasses perfectly! The photo booth backdrop was made of dyed muslin ripped into strips (did you know that muslin rips in a straight line??? sooo helpful!) – this was a little tip I picked up over at Ms. Awesome. Unfortunately, it got too dark to take everyone’s photos outside, so many were taken inside. 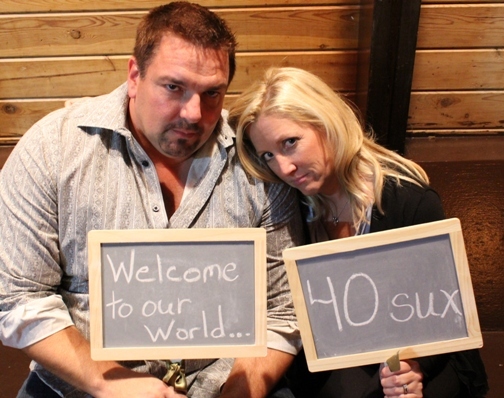 However, the chalkboard signs still worked inside! I had planned on more of a DIY for these, but when I found mini chalkboards for $3.50 from JoAnn’s, I knew it would be hard to make them myself for much better than that (did I mention I also had a coupon to make them just over $2 each?). I simply glued the chalkboards to paint stir sticks (free! ), added a cute ribbon, and voila! Instant hand held signage! 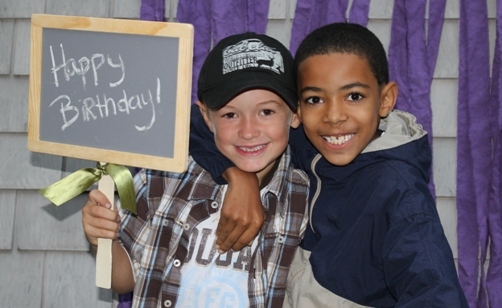 Interactive elements are always popular for photo booths! 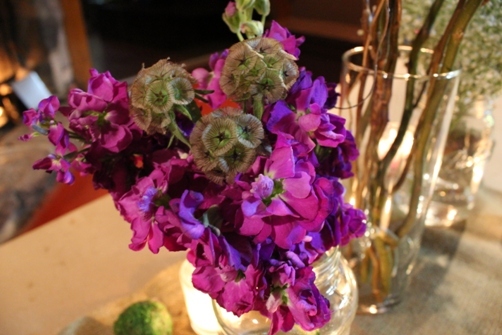 This entry was posted in Event Portfolio, Party Inspiration and tagged green, purple. Bookmark the permalink. It’s hard to imagine, but it really was even more beautiful in person. Completely magical and perfect in every way. Thank you again SO much!!!! !